In his ninetieth year, Reja-e Busailah looks back on growing up in a small Palestinian town in the 1930s until the turbulent upheaval of 1948, when over 700,000 Palestinians were expelled from their homes by the Israelis, and the author was forced to join the Death March from Lydda. Although blind since infancy, Busailah recalls with stunning detail a boyhood shaped by disability, education, family and friends, British soldiers and Zionist settlers. 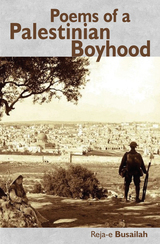 Poems of a Palestinian Boyhood is an extraordinary book: unapologetic, unflinching, raw and beautiful. they raise and make fecund the sunrise. to bring them back neither to winter nor to spring. hers hushed from the start? of young henna and fresh thyme? leaving behind them numberless trails of blood and tears? powerless to awaken mercy from her slumber? from the fire winding down, winding down? an old rose cowering under the blazing hills. drained of its native humour. blushed and henceforth was to go unused. she was her brittle hulk of bones again. could melt either his fat or his tough skin. the camel of his tribe. through the eye of light. dead between two breasts that yearned to nurse. of his tongue with which he guards his wealth. Reja-e Busailah was born in Jerusalem in 1929. He was educated in Hebron and at the Al-’Amiriyyah School in Yafa. He studied English at Cairo University and received a PhD in English literature at New York University. For thirty years he taught English at Indiana University. 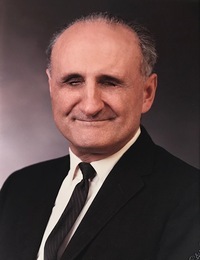 In 1953 he helped found a school for the blind in Kuwait. From 1967 to 1991 he directed the Palestinian children’s charity, Project Loving Care. His books include The Ordeal: Poems of Anguish, Resistance, and Hope (with Dennis Brutus, Ved Vatuk and Tawkiq Zayyad) and We are Human Too: Poems on the Palestinian Condition and In the Land of My Birth (winner of the 2018 Palestinian Book Award for memoir). He lives with his wife in Kokomo, Indiana.